Watercolor over feather drawing in red ink. Signed lower left. 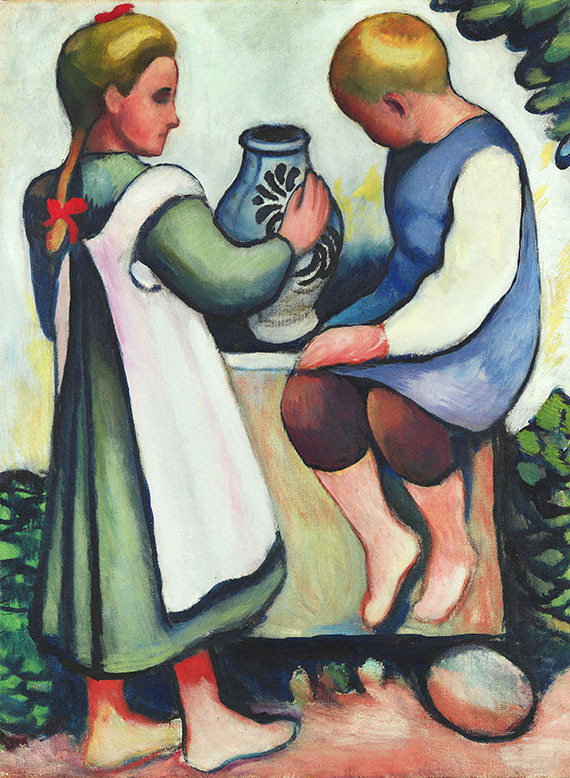 Titled and inscribed "No. 10" in lower margin. On firm wove paper by Fabriano (with watermark). 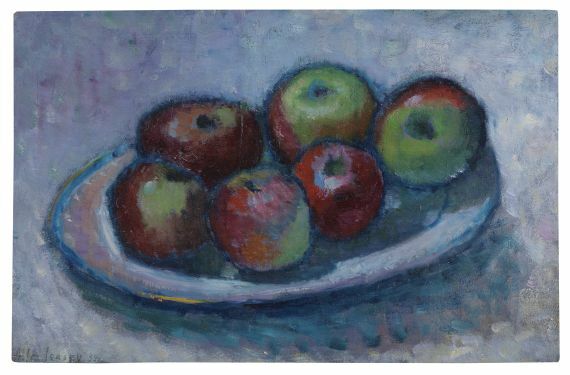 63,7 x 48 cm (25 x 18,8 in), size of sheet. [KD]. 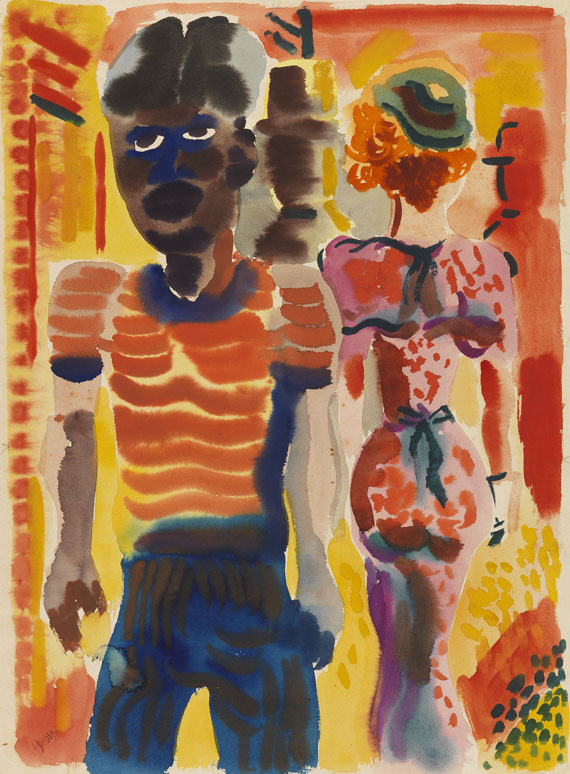 Socio-critical watercolor from the early 1930s, in fresh and vivid colors. 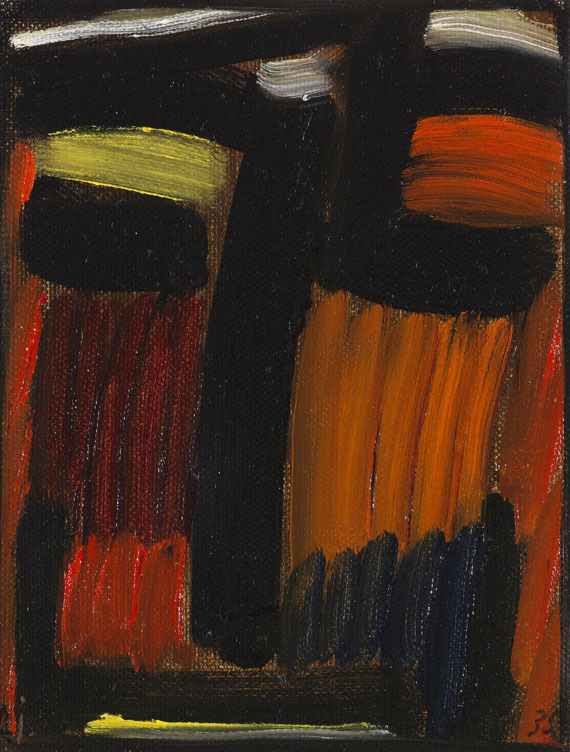 This work will be included into the forthcoming catalog raisonné of works on paper, which is prepared by Ralph Jentsch, Rome. 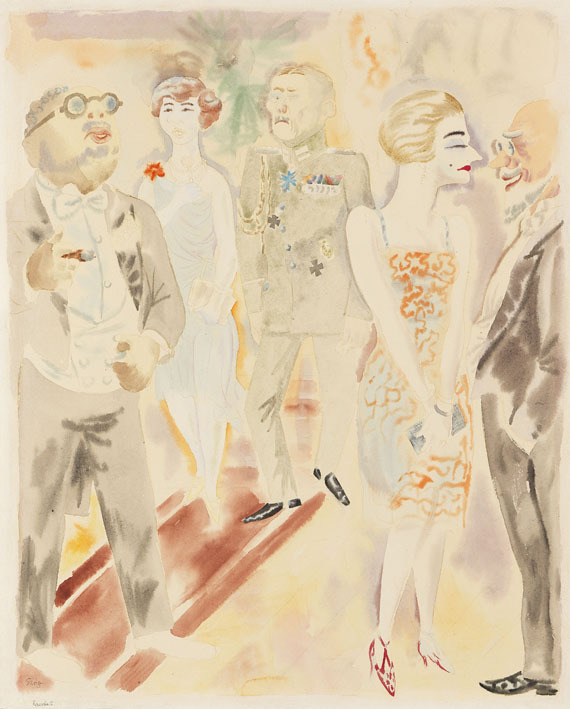 EXHIBITION: Le carte di Grosz, Fondazione L'Arsenale, Iseo (Brescia), 25 November, 1995 - 7 January, 1996, ex. cat. with color illu. on p. 48. LITERATURE: Cf. 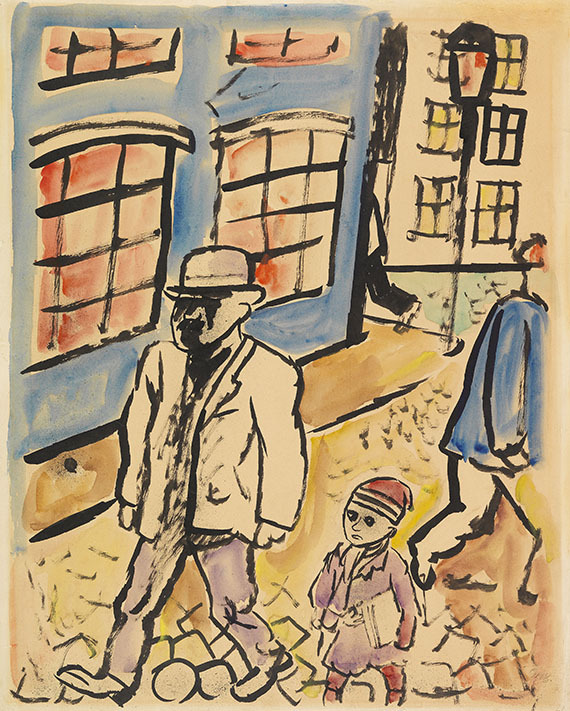 Peter-Klaus Schuster (publisher), George Grosz. Berlin - New York, Berlin 1995, p. 515, no. 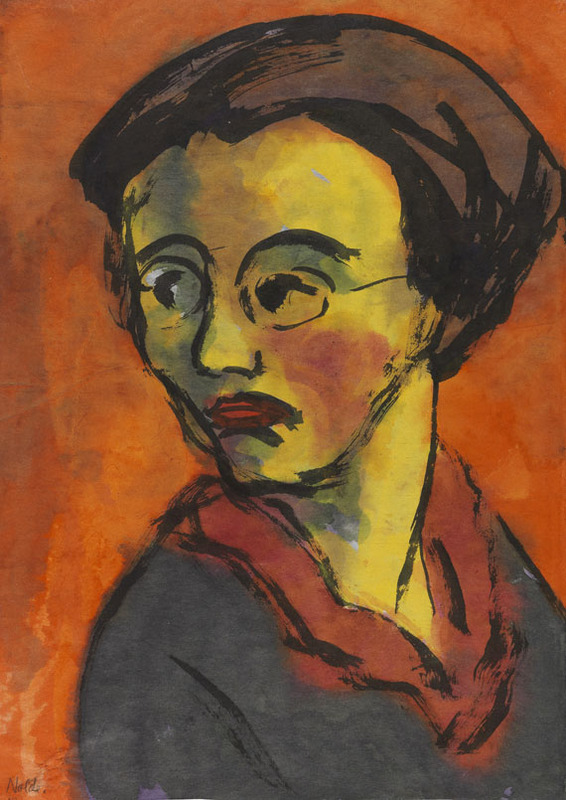 124, Skizzenbücher, Prerow 1931/7 (illu. 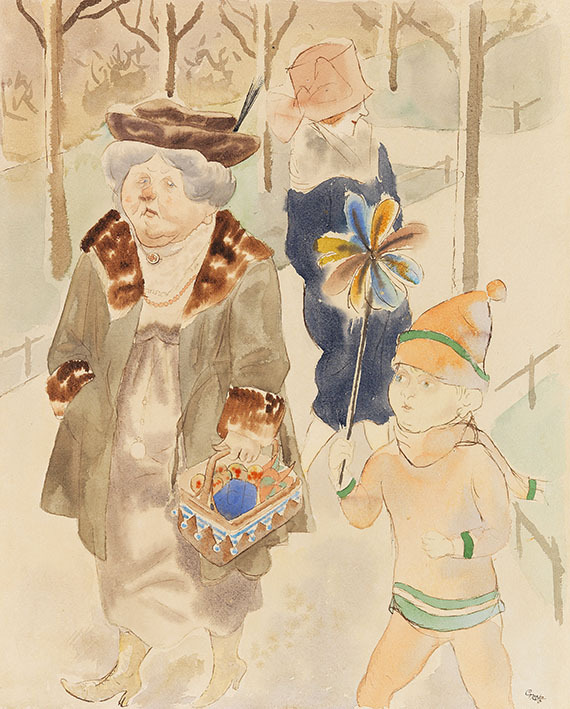 man with rubber crocodile, pencil and watercolor) as well as Christine Fischer-Defoy (publisher): George Grosz am Strand. 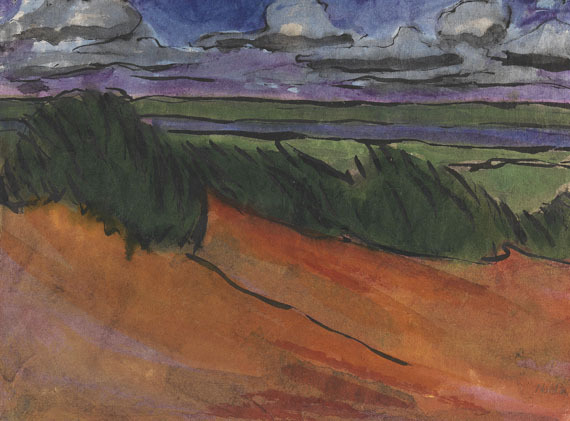 Ostsee-Skizzen, Berlin 2001, p. 127 (illu. preliminary drawing). 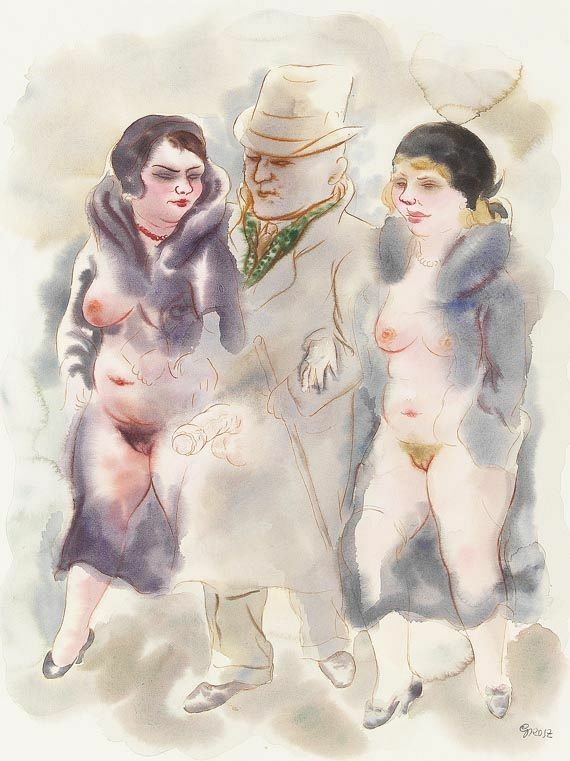 George Grosz - born as George Ehrenfried Grosz in Berlin in 1893 - grew up in the Pomeranian town of Stolp. 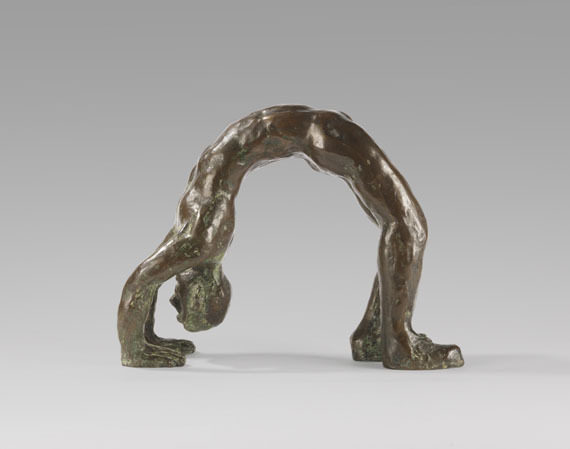 Which he portrayed in architectural studies as early as 1907/08. 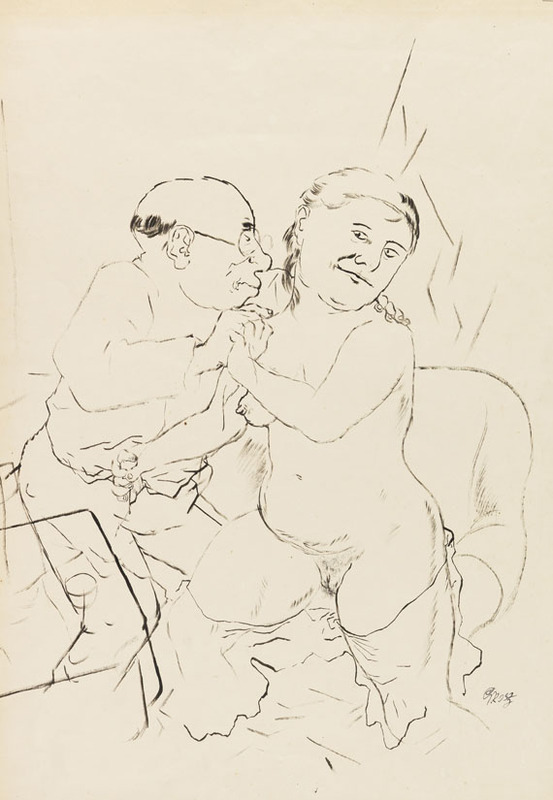 His drawing teacher recognised Grosz' talent and prepared his pupil for the entrance exam at the Königliche Kunstakademie in Dresden. 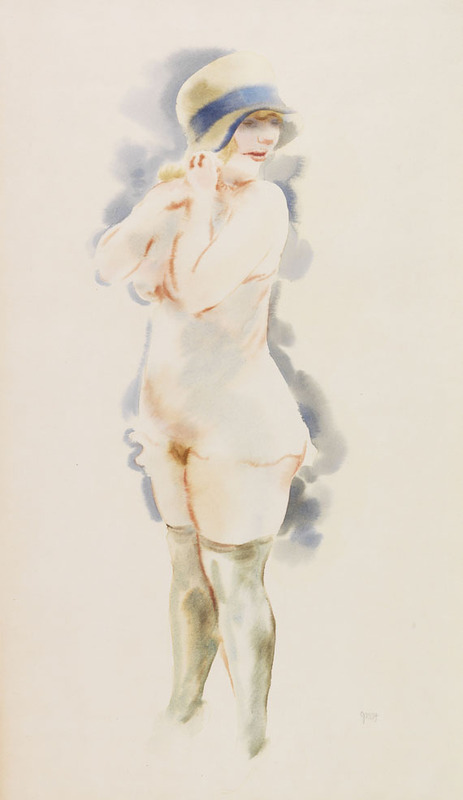 Grosz was awarded his final honorary diploma in 1911, after studying for only two years. 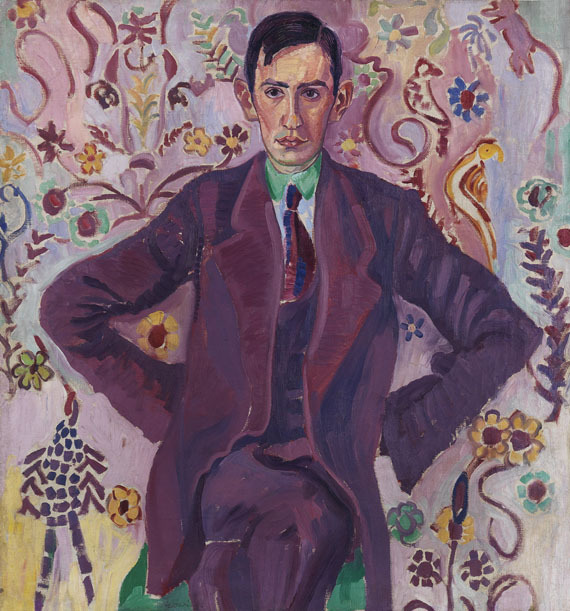 After graduating, he went to Berlin to become a pupil of Emil Orlik at the Kunstgewerbeschule. 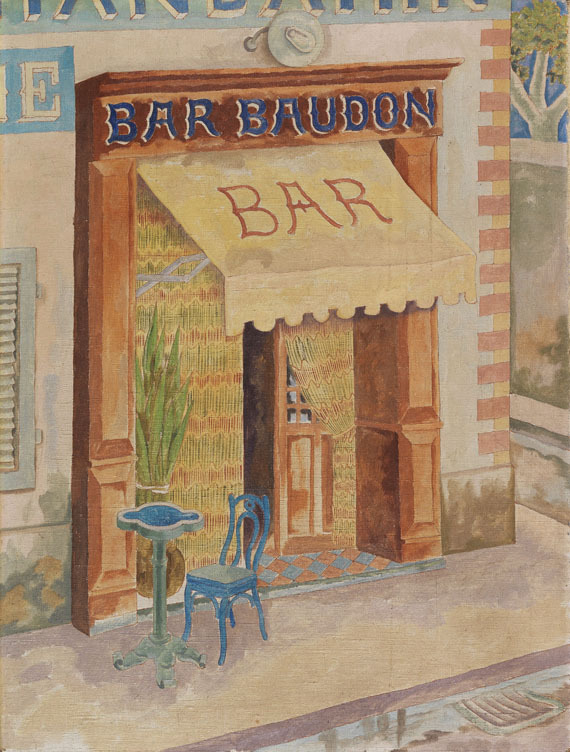 His sketchbooks of this period contain the first examples of street scenes and café house scenes which were so typical of the artist. 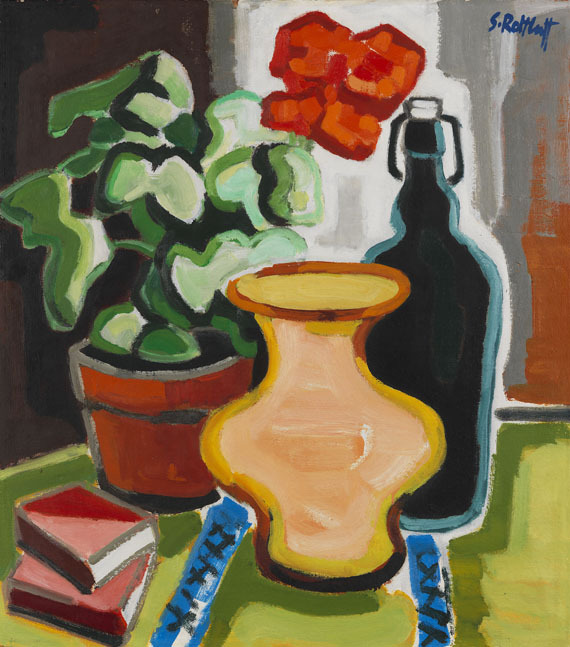 He spent a few month in Paris in 1913, where he attended drawing classes at the painting school Colarossi. He absolved two short periods of military service in 1914 and 1917, but finally considered unsuitable for service and discharged. 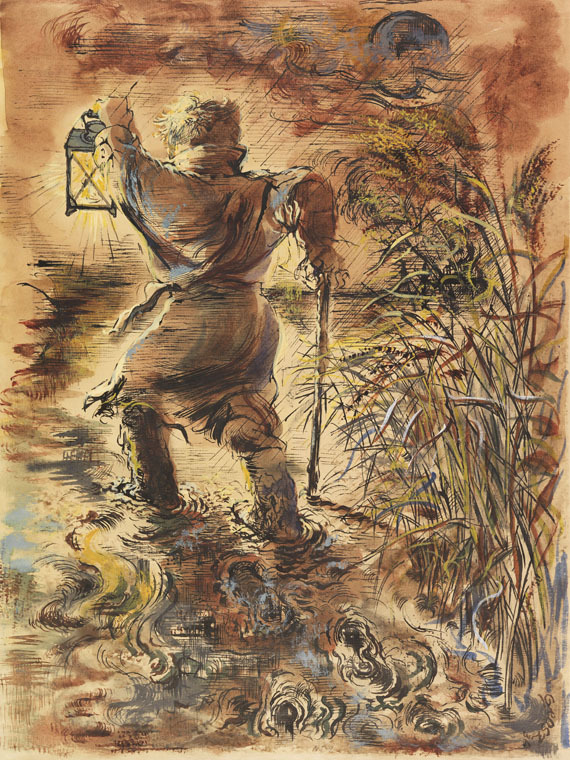 During these years, various journals published Grosz' first literary contributions and drawings which founded the artist's fame. 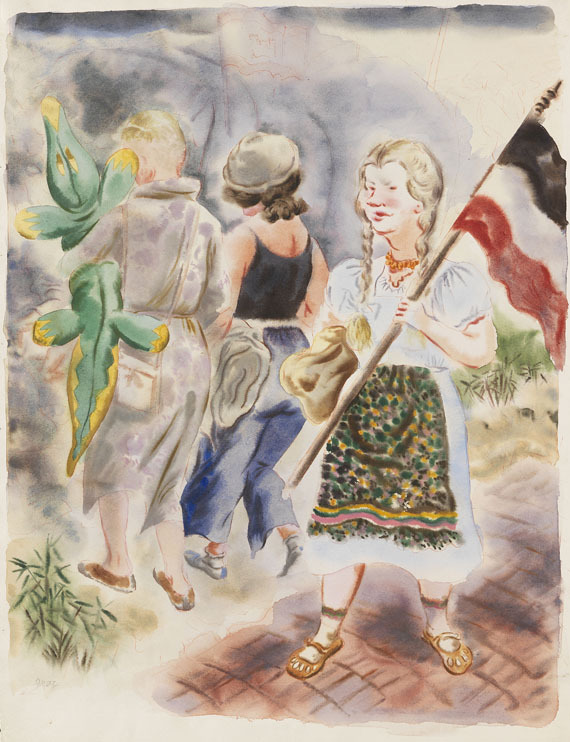 During the 1920s he worked as an illustrator for the journals 'Ulk' and 'Lustige Blätter', for Flechtheim's 'Querschnitt', the Communist satirical weekly Journal "Der Knüppel" and, from 1926 to 1932, for the 'Simplicissimus'. 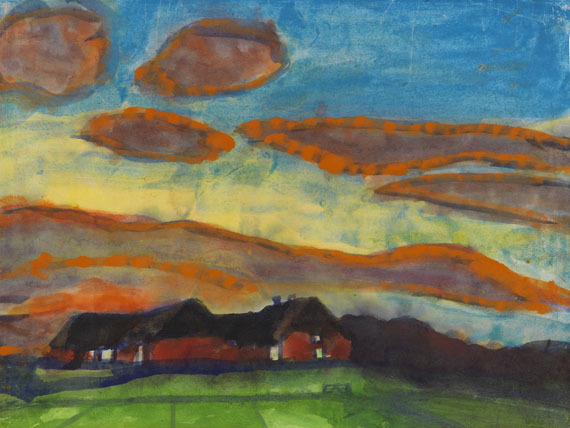 Grosz was also an active co - publisher of severals journal in Berlin in 1919, such as 'Die Pleite', 'Der Gegner' and 'Der Blutige Ernst'. In the same year, Grosz, Hausmann and Heartfield organised the first Dada Flair in Berlin. 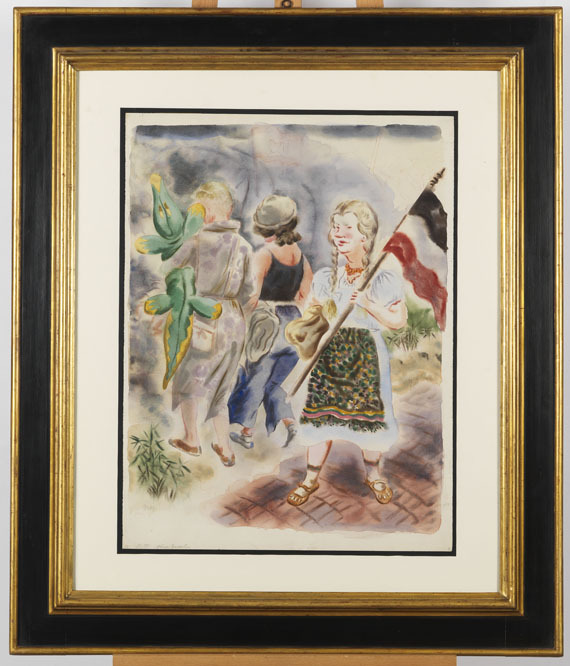 One of Grosz' portfolio exhibited at this fair, 'Gott mit uns', led to a court case against the artist because of slandering the Reichswehr. 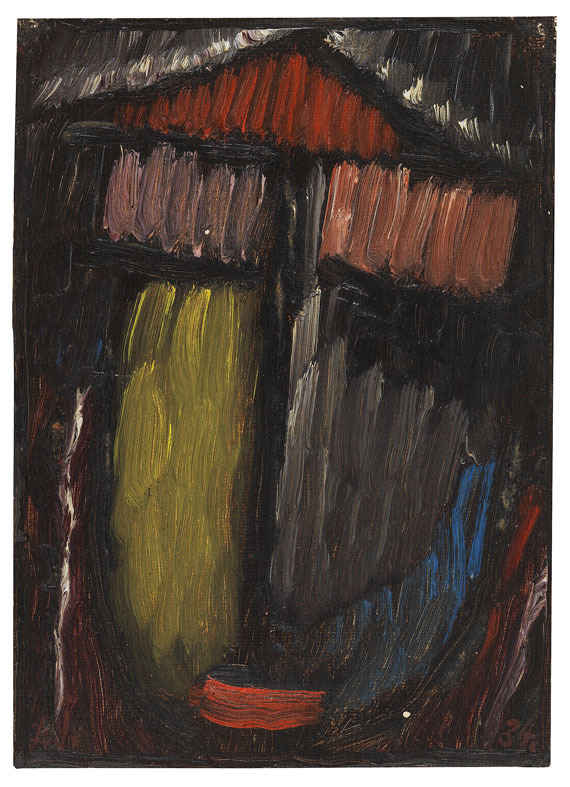 Another charge followed in 1923 because of an "offence against morale" in his series 'Ecce Homo'. 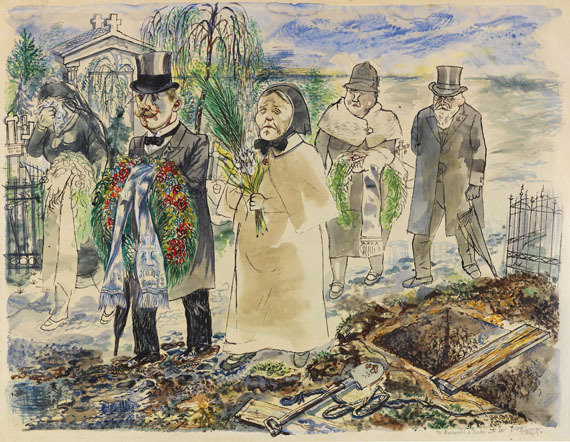 There was a third court case in 1928, which Grosz was accused of blasphemy in the series "Hintergrund". 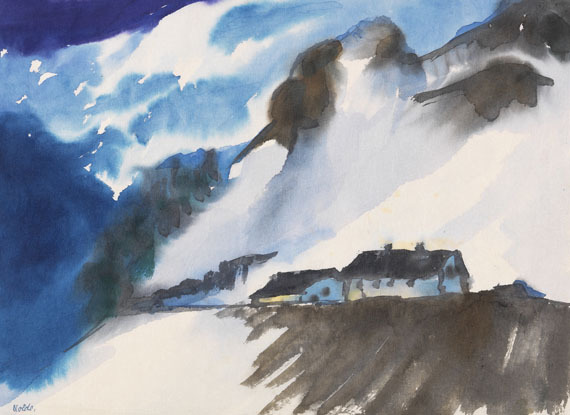 Grosz went to the Art Students' League in New York as a guest professor in 1932, before he finally moved there in 1933. 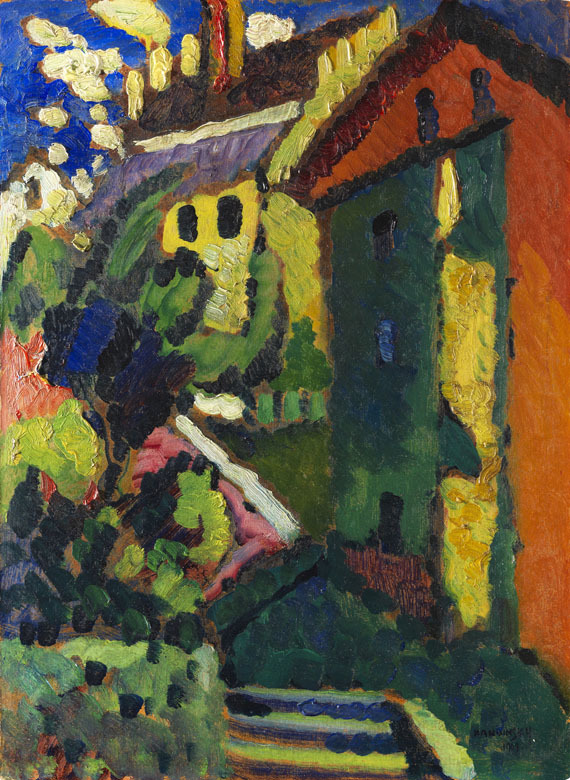 He continued teaching at the art school until 1955, but also founded his own art school together with Maurice Stern. 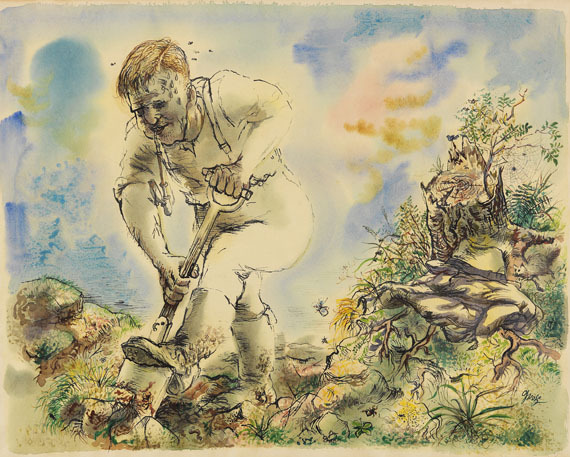 285 works by Grosz were removed from German Museum in 1937, some of which were exhibited in the exhibition 'Entartete Kunst'. 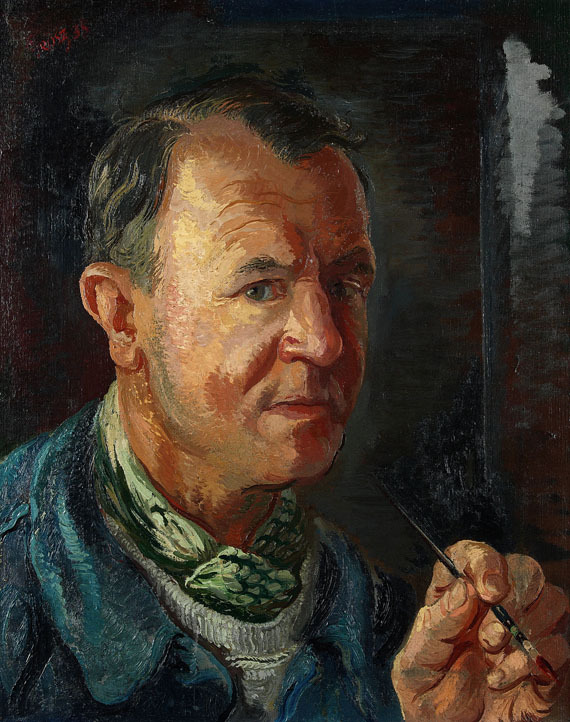 Grosz was expatriated by the National socialists and took American citizenship. 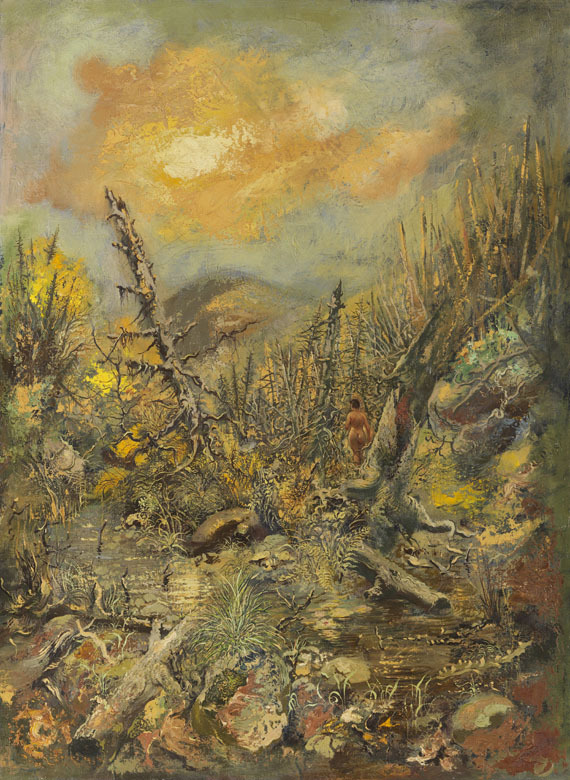 He only returned to Germany for a longer period in 1954. He finally moved back to Berlin in 1959, but died in the same year.